Beat Fever is the familiar sort of rhythm game where you have to tap at the right moment as circles fall from the top of the screen in order to sync up with the music. Sort of like Guitar Hero but you tap a screen instead of strum a toy guitar. Anyway this game gets TOUGH. So you want to lead the music revolution, eh? Know your cues. Regular circles just get a tap, circles with a line following them need to be tapped and held, if those lines switch lanes you need to keep holding while sliding your finger over at the right time, etc. Listen to the music. It sounds silly but this is really important. It's easier (relatively speaking) to try and follow the sound of the notes and tap along than it is to simply watch the prompts. Each Zone has its own missions. You can check missions by tapping on the appropriately labeled tab on the right side of the screen and they typically involve beating specific songs. Note that some of these will require an All Access Pass subscription to actually access, depending on the difficulty level. Some zones have more than just regular challenges. Keep an eye out for 'Battle Mode' levels (look for a floating green sword icon), which can earn you some extra stuff if you manage to complete them. Keep track of each level's Goal(s) and Limit(s). Goals involve things like landing a specific number of accurate taps, attaining a certain combo rank, etc. Limits, on the other hand, task you with stuff like not missing more than a certain number of notes and so on. Level up and outfit your Beat Monsters (yes, Beat Monsters) to improve your chances. These critters can be found in Prize Grab draws, or challenged and recruited when you spot them in a zone and manage to meet their criteria. Powering them up by merging with unwanted monsters will increase their level, as will simply using them in levels to gain experience, and you can equip them with some items you find to further boost their effectiveness. Higher stats will improve things like score multipliers and how much health you have (i.e. how many times you can mess up without failing). 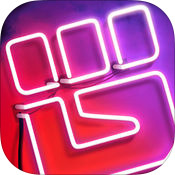 The fundamentals of Beat Fever are entertaining, but it's difficult to remain enthusiastic about it when so much of it is inaccessible unless you pay for an All Access Membership. Whether or not that's worth it is up to you, but as far as I'm concerned there are plenty of similar games out there that are just as good and don't demand a subscription fee. 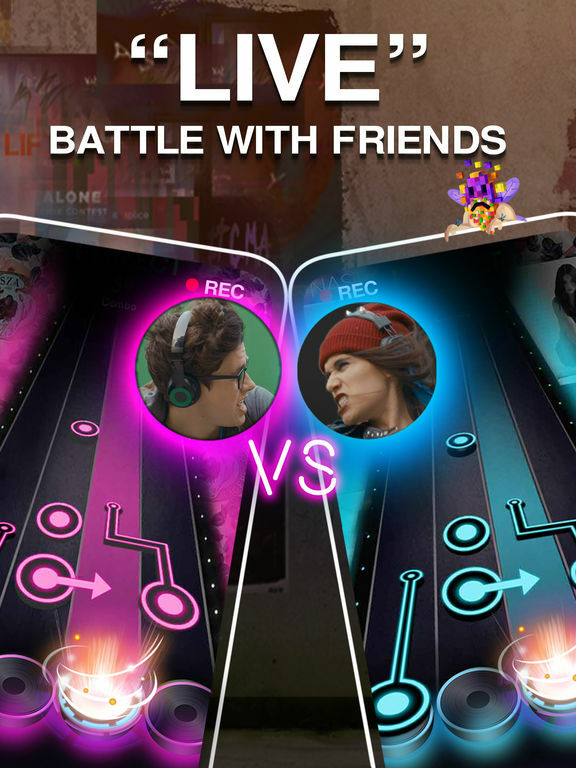 Beat Fever: Music Rhythm Tap Game (heretofore referred to as Beat Fever because screw typing all of that out more than once) is a familiar type of rhythm game where you have to tap and tap/hold in time with the music, or risk failure if you mess up too often. In that regard it's not particularly groundbreaking but it does what it set out to do well enough. Until it gets in its own way, that is. 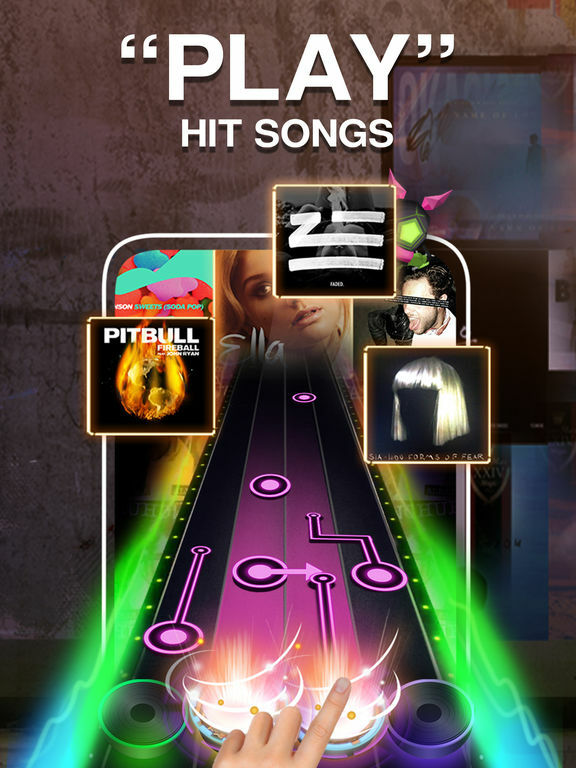 If you've played just about any other type of mainstream (or at least as mainstream as these things can get) rhythm game before you'll immediately be able to get a feel for Beat Fever's controls. Heck, even if you're new to it all chances are you'll know what you're doing within seconds. Circles move down from the top of the screen and you have to tap on them once they get to the designated area at the bottom - which ends up being in time with the music, of course. It's super easy to jump right in, and the response time feels good. These types of games are usually only as good as their track list, and there's a pretty good one here. Granted I'm not a huge fan of most of the popular stuff that gets a lot of radio time these days but if you're into trendy modern music you'll likely be satisfied. Me personally, I could do with more classic/nostalgic options. At least in addition to what's already there. But licensing is a thing, I get that. Surprisingly, things get quite difficult in a hurry. By the second song (in the TUTORIAL area) I found myself missing the occasional note, and forget about The Arena. If you're a perfectionist it might drive you crazy. Most of the levels are mercifully short (i.e. they play a clip rather than the entire song) in that regard, so you can enjoy playing/underperforming without getting fatigued by trying to mentally keep track of where and when you need to tap, but yeah. This game gets very tough. And then there's the 'All Access Membership.' I didn't want to play in the Arena because I generally don't enjoy competitive multiplayer, so I went back to the campaign levels. Being something of a habitual completionist, I wanted to finish them on Normal, Hard, etc, as it appeared that I'd already completed them on Easy. Lo and behold, playing a level on Normal is only available for All Access Membership holders. I was liking Beat Fever well enough, up until it became apparent that a significant chunk of content was cordoned off behind a monthly subscription. Beat Fever is a fun if not particularly fresh game. However, it's a shame that so much of it revolves around a monthly subscription. And that the game makes this apparent quite often.